PT Telekomunikasi Selular - Telkomsel is the largest mobile phone operators in Indonesia. With a total of 178 millions active subscribers, Telkomsel maintains 57% market share and controls 66% revenue share among the Big 3 cellular operators in Indonesia. Telkomsel also recognized as the largest cellular operator in Indonesia with the widest notwork coverage. Telkomsel has a total of 146,000 BTS which cover 99% of network coverage with spread across Indonesia. PT Telekomunikasi Selular is a strategic subsidiary company of state-owned telecommunication giant PT Telekomunikasi Indonesia Tbk (TELKOM Group, IDX:TLKM). At present, PT Telekomunikasi Selular is 65% owned by TELKOM Group and 35% by Singapore Telecom Mobile Pte Ltd (Singtel Mobile). Singtel Mobile is a wholly-owned subsidiary of Asia’s leading communications group Singapore Telecommunications Limited (Singtel, SGX:ST). Based in Jakarta, Telkomsel's operations are divided into 11 regions across Indonesia and served by more than 5,100 employees. 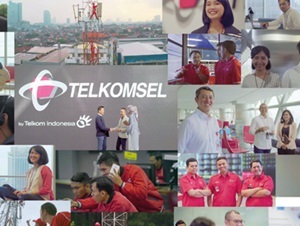 According to PT Telekomunikasi Selular Annual Report 2016 as cited by JobsCDC.com, Telkomsel's performance in 2016 showed a significant increase compared to 2015. Telkomsel managed to record total revenue of Rp 86.7 trillion at the end of 2016. This total revenue is up 14% as compared to Rp 76.1 trillion in 2015. Referring to its annual report, Total net income recorded as Rp 28.2 trillion, 25.89% increased to Rp 22.4 trillion in the previous year. Telkomsel booked total assets of Rp 89.8 trillion in 2016, up by 7% from Rp 84.1 trillion in 2015. Minimum S1 in any major. Skilled in operating Microsoft Office. Possess personal vehicle and driving license (SIM C). JobsCDC.com now available on android device. Download now on Google Play here. Please be aware of recruitment fraud. The entire stage of this selection process is free of charge. 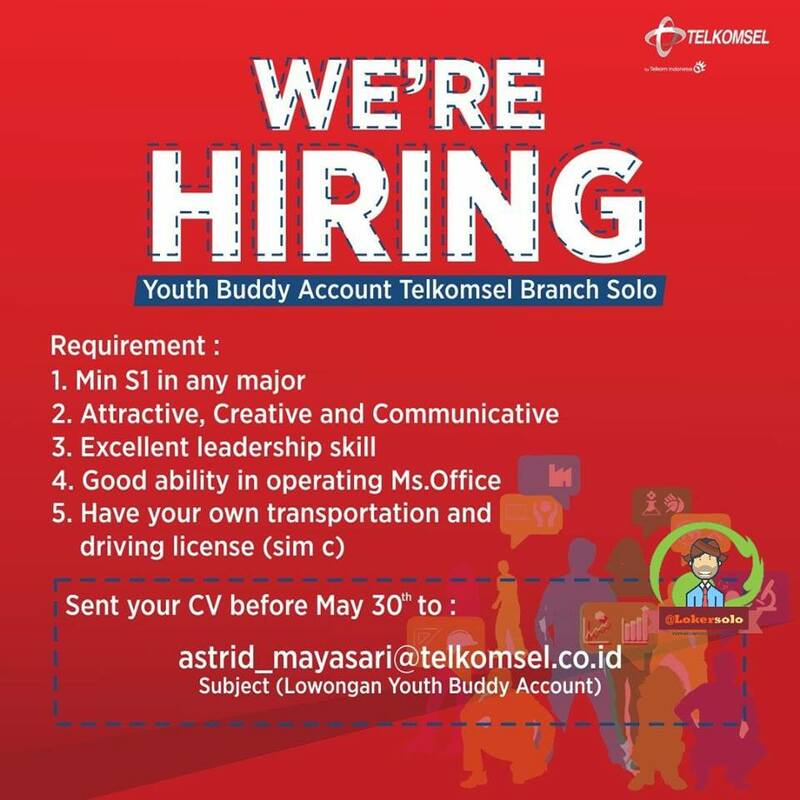 PT Telekomunikasi Selular - Fresh Graduated Youth Buddy Account Telkomsel May 2018 will never ask for fees or upfront payments for any purposes during the recruitment process such as transportation and accommodation.